LOS ANGELES.- Gian Lorenzo Bernini (15981680) is widely acknowledged as the greatest Baroque sculptor for his monumental works such as Apollo and Daphne (162225) and the Ecstasy of St. Theresa (164752). His unparalleled talent as a portrait sculptor transformed the practice and earned him the patronage of the Catholic Church and nobility in 17th- century Rome, as well as important commissions from foreign rulers. 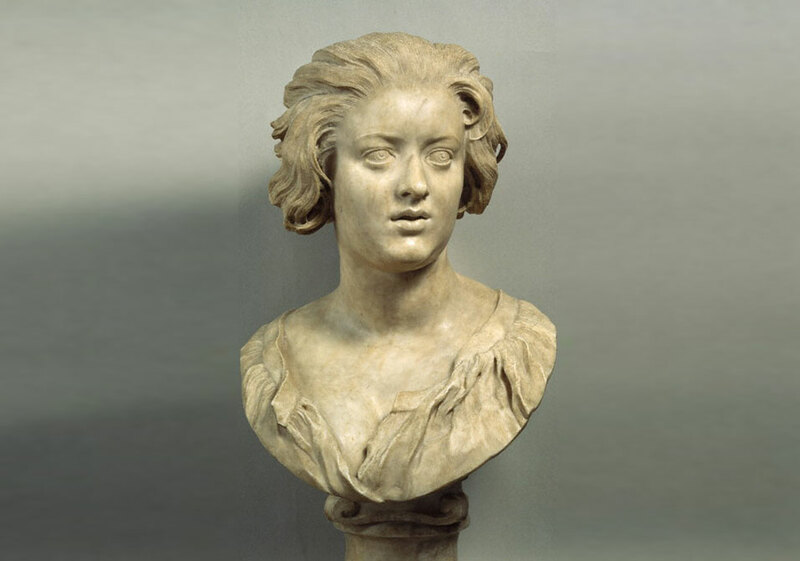 Co-organized by the J. Paul Getty Museum and the National Gallery of Canada in Ottawa, Bernini and the Birth of Baroque Portrait Sculpture is the first major exhibition of Berninis work in North America and the first ever comprehensive exhibition of the artists portrait busts. On view at the J. Paul Getty Museum at the Getty Center, August 5 through October 26, 2008, the special exhibition will also include Berninis portrait drawings, as well as portrait busts by other important sculptors in 17th-century Rome such as Francesco Mochi, François Duquesnoy, Giuliano Finelli, and Alessandro Algardi. Following its showing at the Getty, the exhibition will travel to the National Gallery of Canada in Ottawa, where it will be on view from November 28, 2008 through March 8, 2009. Berninis talents as a sculptor irrevocably changed sculptural portraiture, explains Michael Brand, director of the J. Paul Getty Museum. He found a way to breathe life into a marble bust through his systematic and detailed rendering of every surface texture, and animated the material with not only the physical likeness of the sitters, but also their individual personality and living presence. Berninis busts are the record of the dignitaries of a certain epoch in Italy, in that many men and women of prominence in 17th-century Romein both religious and secular circlessat for him. Bernini and the Birth of Baroque Portrait Sculpturethe first exhibition ever to focus on Berninis accomplishments as a portrait sculptordemonstrates the artists unprecedented ability to depict the character of the sitter through a dynamic, life-like rendering, as well as the subsequent impact this innovation had on sculptural portraiture. The exhibition will also explore the interrelationship of painting and sculpture during the Baroque period, bringing together roughly 30 sculpturescreated in marble, bronze, and porphyryas well as a number of paintings and drawings from all over the world, including many sculptures that have never been seen outside of Italy. Work by Bernini and others will be generously loaned by the Palazzo Barberini, the Galleria Borghese, and the Museo di Roma in Rome; the Museo Nazionale del Bargello in Florence; and the Vatican. Important loans will also come from the British Museum and the Victoria and Albert Museum in London; the Royal Library at Windsor Castle in Windsor, England; the Musée du Louvre and the Musée Jacquemart-André in Paris; the Metropolitan Museum of Art in New York; the National Gallery of Art in Washington, D.C.; the National Gallery of Canada in Ottawa; the Los Angeles County Museum of Art in Los Angeles; the Staatliche Museen Preussischer Kulturbesitz in Berlin; the Statens Museum for Kunst in Copenhagen; and several private collections around the world. The exhibition is organized chronologically to provide a comprehensive presentation of Berninis artistic development and a cohesive understanding of his oeuvre. The first gallery will celebrate Berninis early achievements, including two bronze portrait bustscommissioned togetherof the deceased pope Paul V (1621-22, bronze) and the newly appointed Gregory XV (1621-22, bronze), among others. The busts were commissioned to underscore the intellectual continuity between their two pontificates and Bernini brilliantly renders Paul V with naturalism and symmetry and Gregory XV with majesty and dignity. The works were separated in the 1890s and this will be the first time they have been displayed together since. The commission for these two sculptors came from a man named Scipione Borghesethe nephew of Paul Va wealthy benefactor with whom Bernini found great favor in the 1630s. Berninis bust of Scipione Borghese (1632, marble) is of great importance in his oeuvre as it not only depicts his first important patronScipiones patronage launched Berninis great careerbut also marks a significant innovation in his portrait style. The marble bust is the epitome of what became known as Berninis speaking likeness, which refers to his unprecedented ability to portray the sitters personality with psychological intimacy in a frozen moment of time and action. Scipione is captured in mid-sentence as he directly engages the viewer in conversation. The moment is spontaneous and fleeting as his biretta shifts back on his head and his shoulders animate the creases of his cape. Berninis innovationportraying Scipione as the gregarious and imperious man he was known to bechanged sculptural portraiture forever and made it common practice to animate the marble with the sitters countenance and temperament. A section of the exhibition will be devoted to portrait busts and paintings of the Barberini familywho rose to prominence in 17th-century Rome with the election of Cardinal Maffeo Barberini to the papal throne in 1623 as Urban VIIIand members of their entourage. Berninis portraits of Francesco Barberini (1620s, marble), Maffeos uncle, and Camilla Barberini (1620s, marble), Maffeos mother, will be on view, alongside numerous depictions by Bernini of Urban VIII himself, including two bronze busts, a marble bust, a bronze and porphyry bust, and an oil painting. A spiritually charged marble bust of Carlo Barberini (ca. 1630) by Berninis contemporary Francesco Mochi will also be on display. Though Berninis sculptural masterpieces are the core of the exhibition, his magnificent portrait drawings will also be included. While his portrait busts depict dignitaries, these more intimate works on paper portray with remarkable freshness unidentified persons, such as Portrait of a Boy (ca. 1630) and Portrait of a Man with a Moustache (ca. 1630). This section will also include two very special self-portraits Bernini createdone in 1630 as a young man and the other in 1665 when he was more advanced in age. The work of Giuliano Finelli and Alessandro Algardi will also be on viewdemonstrating the influence Berninis virtuosic realism had on Finelli and the naturalistic classicism developed by Berninis rival Algardi. Bernini and the Birth of Baroque Portrait Sculpture is co-organized by the J. Paul Getty Museum and the National Gallery of Ottawa. The exhibition is curated by Catherine Hess, associate curator of sculpture and decorative arts at the Getty Museum; Andrea Bacchi, scholar and professor, Università di Trento, Italy; and Jennifer Montagu, Honorary Fellow, Warburg Institute, London After premiering at the Getty this Summer, the exhibition will be on view at the National Gallery of Canada in Ottawa from November 28, 2008  March 8, 2009. The exhibition will also be accompanied by a full-color catalogue.